Kripa Joshi, now in The Strumpet! Miss Moti enjoys a night out on the town, and meet up with lots of intriguingly disguised characters, in this page from the new Strumpet. 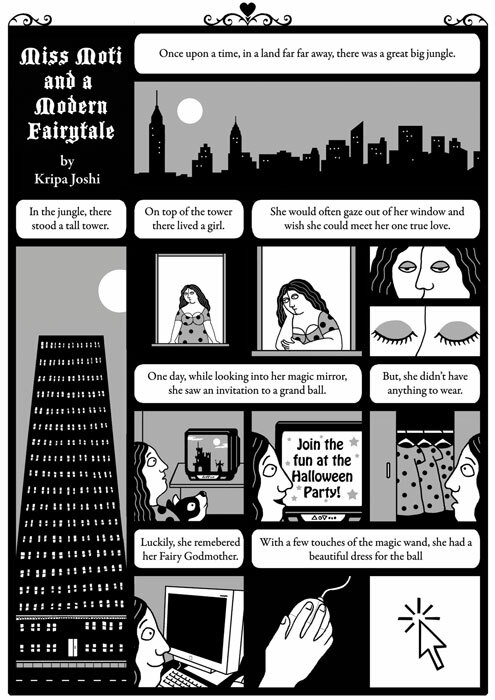 We are so pleased to welcome Kripa Joshi, the creator of Miss Moti, to our very first issue. Kripa speaking at Laydeez; she's in front of a photo of her extended family in Nepal. Kripa with London comics folk John Miers, Megan Donnolley and Mike Medaglia. 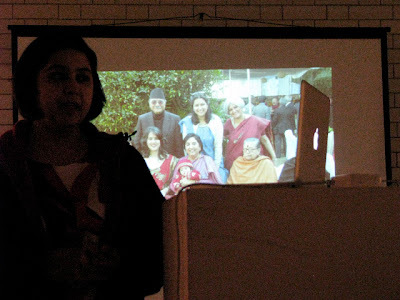 At Laydeez Kripa discussed her Nepalese heritage and how her travels around the world - notably to New York, India and London - have influenced her work. Even more wonderfully, Kripa agreed a few months back to create an image for us Strumpets to use as a Kickstarter incentive. 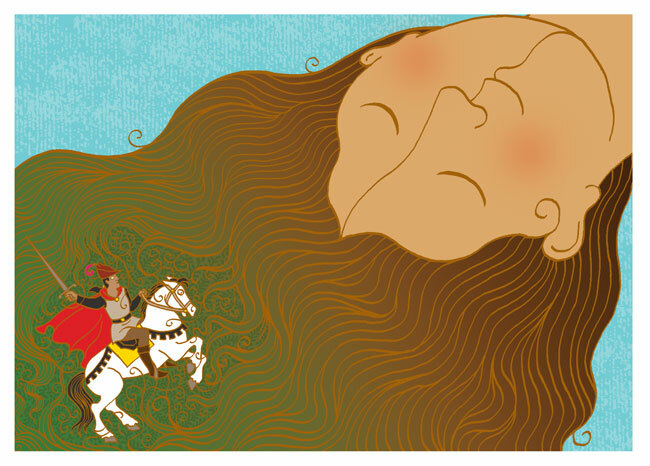 If you love fairytale princesses and knights errant on a mission, then you might want to grab this print for your very own. It's not too late - although we've reached our goal the terms of Kickstarter are that we have to stay open for business until the day we promised - that's 11th November. Which means you're in luck! Check out our Kickstarter today. New Interview! The Strumpets speak to PIKALAND! An exciting interview with 8 of our artists is now up on fantastic illustration site Pikaland! Thanks so much to the amazing Melanie Maddison for taking the time to explore our fevered imaginations. One of the things that I'm most excited about in this first issue of the Strumpet is the fact that MARDOU, originator of the Whores of Mensa and one of our favourite cartoonists, is BACK with an 8 page story. This story is vintage Mardou: subversively funny and vibrantly drawn (highlighted with her trademark zip-a-tone), offering a look into a gratifyingly unusual mind. Mardou rocks! Are you a Mardou fan? Maybe you're a devotee of Kripa Joshi, Lucy Sweet or Megan Kelso? If you are - but especially if these are new names to you - may we suggest a pre-order? For a mere $10 you get a signed copy of the Strumpet air-mailed to you anywhere in the world, complete with a set of three buttons on a hand-stamped backing. Check out our Kickstarter page for more details - we could really use your support! 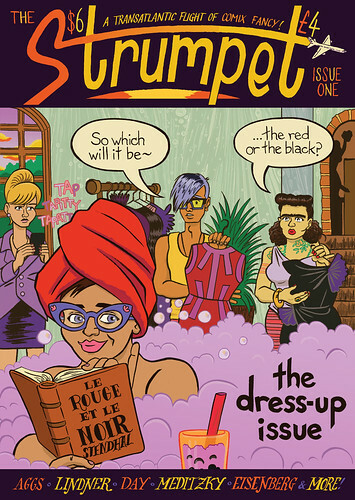 Ellen Lindner's cover for the first issue of The Strumpet. 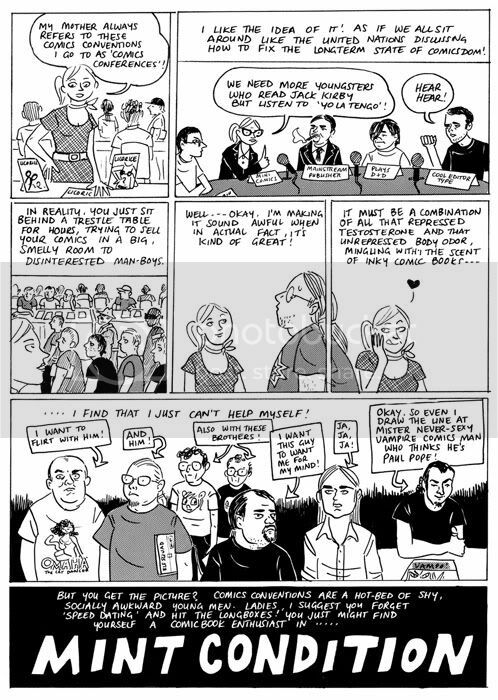 Strumpet Issue 1 will début at this year's Thought Bubble Festival, 19-20 November in Leeds. 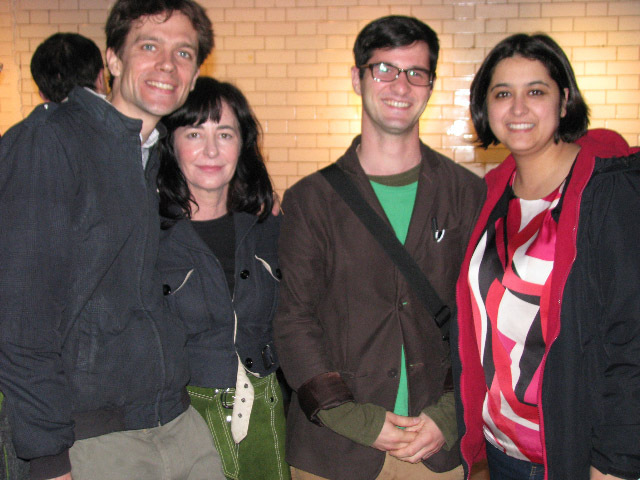 We'll be launching the comic on 24th of November at the Miller pub in London Bridge. And we have a group of contributors to drool over: Kripa Joshi, Patrice Aggs, Tanya Meditzky, Jeremy Day, Mardou, Ellen Lindner, and...MEGAN KELSO!!! And more! AIEEE!!!! !